Bask in the verdant beauty of the Porcupine Mountains Wilderness State Park or stroll for driftwood and agates along the shores of Lake Superior. Hike under a canopy of pine and hemlock or find a lakeside cabin where you can end your day with a sunset over the greatest of the Great Lakes. Stop for a photo at one of the area’s many waterfalls or the awe-inspiring Lake of the Clouds. Learn about the area’s history at mining attractions and local museums. 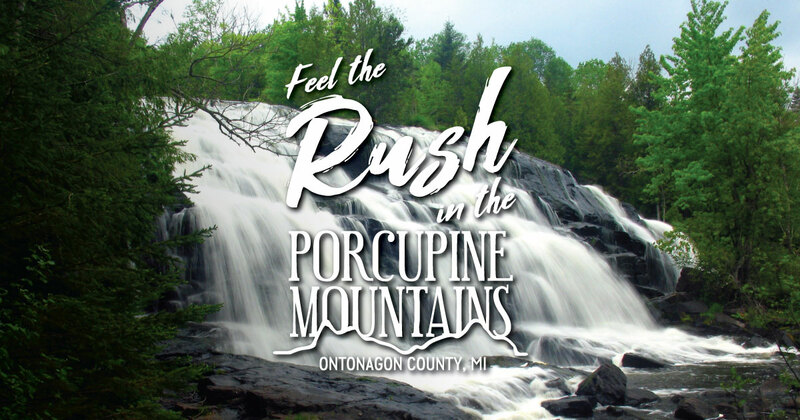 You can also listen to some of the best Americana, folk, rock, country and bluegrass music with Lake Superior as your backdrop at the annual Porcupine Mountains Music Festival, held annually the weekend before the Labor Day Holiday weekend.